The conversation about education has been hijacked by a small group of people whose interests may not coincide with the needs of our students. 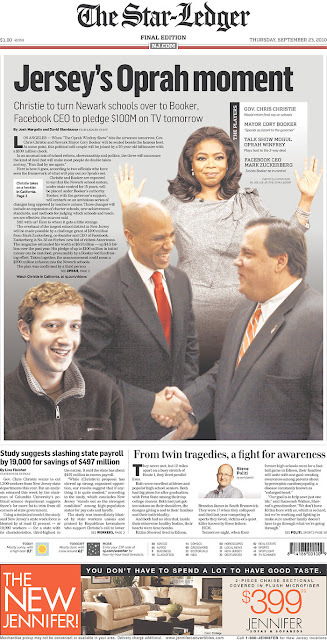 This group, including a bizarre mix - Oprah Winfrey, Arne Duncan, Bill Gates, Eli Broad, many Ivy Leaguers, and a bunch of ultra-rich hedge fund managers - have proclaimed themselves the saviors of our schools, and with their vast resources, they have squeezed all opposition out of the national media. The essential idea is that, education being an industrial process, if it is not working, it must be the fault of some combination of the raw material (the students) or the production line workers (the teachers). This presentation of the problem ensures that the system - which has always worked well for the rich and powerful - does not change. Plus, as a side-benefit, it destroys unions and forces unsuccessful communities onto a treadmill which guarantees that they will never catch up. But there is another narrative - a narrative of student-centered systemic change. We can't get NBC or Oprah or The New York Times or even Barack Obama to pay attention yet, but we can start the conversation from below. 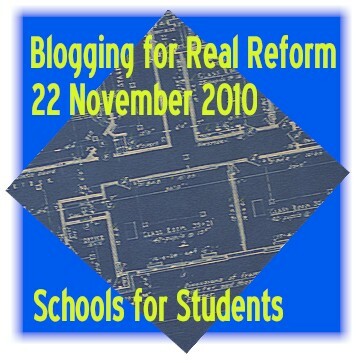 So, I'm asking you, those who seek real reform, to blog with me and others on Monday, November 22, 2010. Describe the change you think education needs - in America, in the UK, in Australia, in Ireland, in Canada, wherever. The date is "American" - it is designed to push the conversation as those in the US gather with their families for Thanksgiving, but the idea is globally important. If you add a link to your post in the comments section of the "Blogging for Real Reform" post which will appear here on November 21, I will link to it - whether we agree or not - no matter what you say - short of hate speech. Please. Let's take back the discussion, let's take back the agenda. The "saviors" - what are they selling? It's critical that classroom teachers have a voice in the education policy debate currently taking place on a state and national level. Share with other teachers and let them know their voices are being heard today. If you wish, I own the domain www.teachnbc.com, and we could use it for this. I've also reached out to an education PR friend of mine asking if she would help spread the word on a pro-bono basis. My name is Jessica and I am reading your blog as an assignment in Dr. STrange's EDM310 class at the University of South Alabama. I agree with what Georgina said, it is critical for the classroom teachers to have a voice in the education debate. It is disturbing to me that celebrities could possibly have a louder voice in this debate that the teachers who know first hand what changes need to be made in education.